It used to be that the road to anti-aging was paved only with surgical procedures, which while very effective, simply aren’t for everyone. 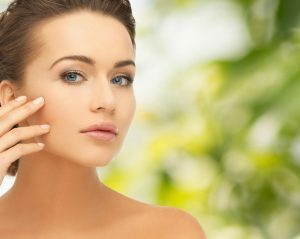 If the thought of going under the knife gives you pause, take heart, modern techniques have opened up a whole new fountain of youth that you can dip into without a scalpel in sight. Here at The Yeung Institute, Dr. Cecil Yeung offers the latest laser technology, as well as cosmetic injectables, which deliver dramatic anti-aging results to his patients in Houston. If your face is becoming a poor representation for the youth and vitality you feel on the inside, explore how we can help your outsides match your insides with minimally invasive procedures that bring out the best in you. While laser technology isn’t necessarily new, how the medical world applies it is constantly evolving. When laser treatments first came onto the cosmetic scene, plastic surgeons recognized their potential for treating wrinkles and scars without causing damage to your surrounding tissue. The trick was harnessing and controlling the power by finding ways to manage the intensity and depth of the energy. And this technology has arrived. In Dr. Yeung’s case, he turns to a fractional CO2 laser that delivers different wavelengths that are well-absorbed by your skin. What this means for you is that Dr. Yeung can accurately target the areas on your face you’d like to tackle without causing damage to your surrounding skin. In fact, Dr. Yeung is able to not only target small problem areas on your face, but he can also completely resurface your skin with the fractional laser. In this procedure, you can have a light resurfacing by targeting only the top layer of your skin, or you can go a little deeper and tackle a few layers for a more dramatic result. As Dr. Yeung delivers the laser energy, to whatever depth you’d like, two things happen: 1) Your skin cells absorb the energy, which causes them to die off, allowing new skin cells to take their place, and 2) Your body responds by increasing collagen and elastin production in your skin giving it better tone and firmness. As your body naturally flushes out the dead skin cells through its lymphatic system, your new skin begins to emerge. Typically, this process takes six to 12 weeks for your skin to completely renew itself. The best part? Dr. Yeung can perform this procedure in under an hour, and you’re free to go about your day afterward. When you leave, you may feel like you have a mild sunburn, but this typically wears off in a day or two. In the ultimate in repurposing, Dr. Yeung can take fat cells from other areas in your body and graft them into your face. Called a facial fat transfer, this unique treatment offers a permanent solution for facial skin that’s sagging around your eyes, brows, and mouth. Since Dr. Yeung removes the fat from your own body -- usually from problem areas like your abdomen, thighs, or buttocks -- your body readily accepts the transfer. The end result is that you can replenish depleted fat in your face, giving you a more plump, youthful appearance for years to come. Another great way to achieve a more youthful look is through cosmetic injectables, such as Botox® and Juvéderm®. These two products deliver a double blow to aging by tackling it from different angles. Botox injections work to relax the muscles responsible for the creases around your eyes, brow, and forehead. Called a neuromodulator, Botox temporarily erases the appearance of severe forehead lines, crow’s feet, and those pesky lines in your brow that often make you look angry. The result is that the treatment smooths out the creases, keeping your smiling eyes at the center of attention. Juvéderm and other dermal fillers take on age by plumping up and smoothing out your skin with fillers, namely hyaluronic acid, which is a natural substance found in your body. With Juvéderm, Dr. Yeung can fill in the parentheses lines around your mouth, plump up your cheeks, and even erase those telltale vertical lines around your mouth, while giving you fuller lips at the same time. Between Botox and Juvéderm, you can give yourself a mini facelift during your lunch break and walk out looking years younger. If you’d like to explore further how we can help you fight the effects of aging skin without resorting to surgery, please give us a call. Or you can use the booking tool on this website to schedule an appointment.